SHoP Architects has designed two residential towers on New York City’s East River. 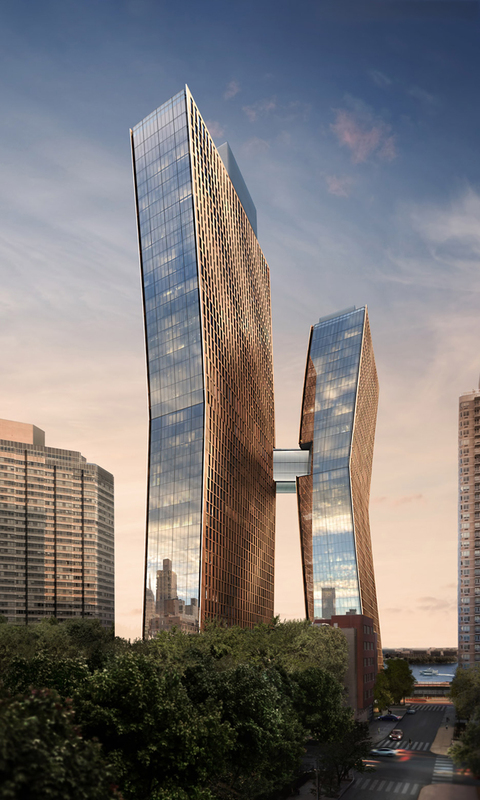 Currently under construction, the development is slated for completion by early 2016.The bold and iconic design of the towers brings an energetic and inspirational tone to an area that is visually underutilized. Capitalizing on the unique location and potential of the site, the development will serve as an important inspiration for future innovative growth in its neighborhood and along the East River. The towers will hold 800 residential units and reach to 49 and 40 stories in height. 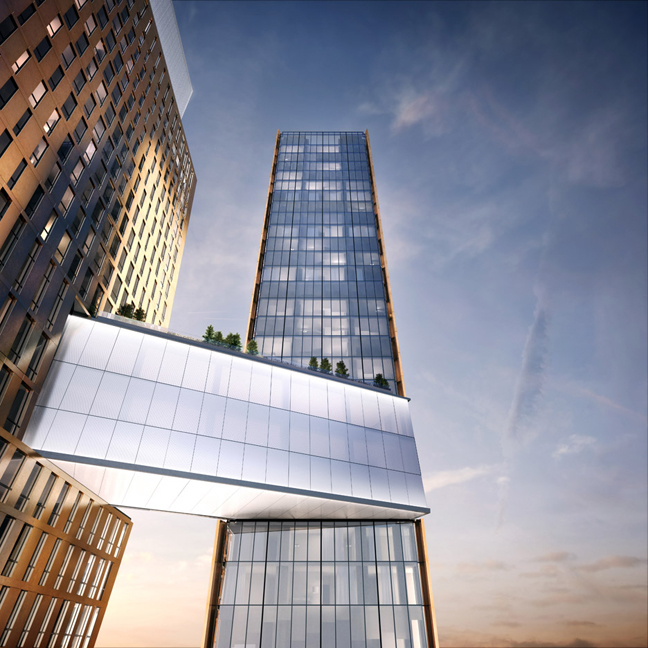 The two dancing towers are connected with a sky bridge, which will feature an indoor lap pool and lounge area. Additionally, the copper towers will feature amenities and facilities such as a rooftop deck, a fitness center, and a film screening room. SHoP is also designing the interiors for all 800 units, including millwork, cabinetry and unit finishes, as well as the furnishing and finishes for all of the building’s amenities, lobbies, corridors, and other public spaces. SHoP – known for its use of raw materials such as zinc and weathered steel – took cues from New York’s iconic Statue of Liberty in conceiving the towers’ cladding.